KENNEDY SPACE CENTER, Fla. (NASA PR) — At 3:33 a.m. EDT on Aug. 11, while most of the U.S. is asleep, NASA’s Kennedy Space Center in Florida will be abuzz with excitement. 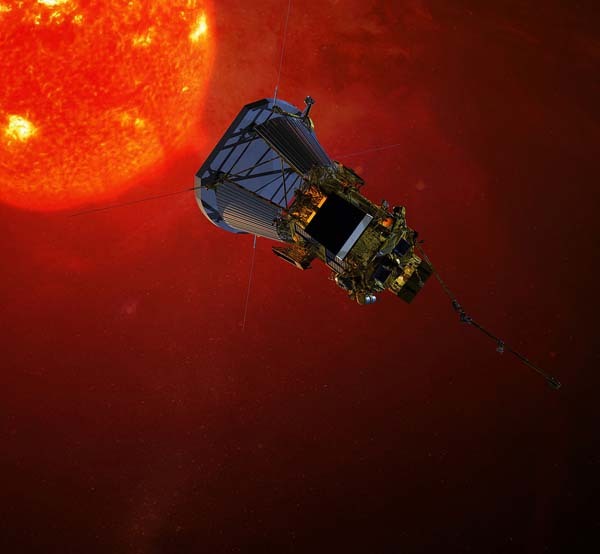 At that moment, NASA’s Parker Solar Probe, the agency’s historic mission to touch the Sun, will have its first opportunity to lift off. Why Won’t Parker Solar Probe Melt? Following Saturday morning’s scrub due to a couple of technical problems, launch is now scheduled for a window starting at 03:31 EDT Sunday morning, though weather is predicted to be a bit worse with a 40% chance of violation.